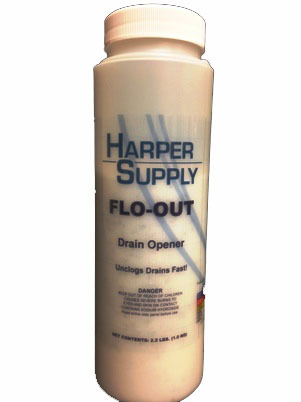 Flo-Out is a ready-to-use caustic drain/sewer opener. Its powerful formula is water activated to create an exothermic reaction which generates considerable heat and agitation. With its metallic prills, Flo-Out will dissolve grease, fats, paper, rags and other protein and carbohydrate matter, as well as disintegrate cellulose and small tree roots. An excellent preventative maintenance product that will save time, money and labor.